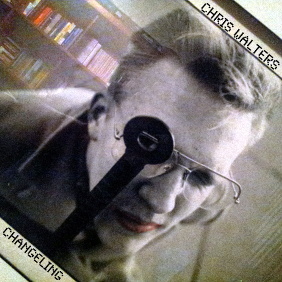 I refer to this collection as “Changeling” because I recorded tracks 1-19 from 1987 to 1991, years of painful turmoil and identity crisis. During those five years I felt like a changeling, which in many legends is an inhuman creature secretly exchanged for a human, often a child. And then suddenly and dramatically in June 1991, God changed my identity back to “child of God.” I came back to the church in which I grew up, joined an intergenerational “Disciple” Bible study class, quickly made friends with healthy adult Christians, participated in a small group for many years, and proceeded to study the Bible, theology, philosophy, and science for the intervening decades. This quest ultimately led me to answer God’s call from childhood to ordained ministry, passing through 14 years as an information technology professional, marriage, adoption, two seminary degrees, and through to elder ordination in The United Methodist Church. This wild collection and journey of music appropriately concludes with “Eun-Hye’s Song” (for my wife), featuring a conventional 1-5-4 chord progression, and singer-songwriter Laura Kleinschmidt’s “Come to Me,” a beautiful story of Jesus calling the song’s protagonist out of an existential abyss back to Him, back to God. Curious about my musical influences? You should start with British guitarist extraordinaire Bill Nelson. Also: minimalist composer Philip Glass, percussionist David Van Tieghem, the solo careers of everyone in the bands “Japan” (especially the late Mick Karn) and “Yellow Magic Orchestra,” and Brian Eno and his ilk, especially trumpeter Jon Hassell. The cover is a photo of a framed photo taken of me at age 19. By today’s digital standards my recording process was tedious and crude, but it was a labor of love laying down multiple tracks on a Tascam Porta Two (four track recorder / six channel mixer using standard 1/8-inch cassette tape), synchronizing the boards and modules again to the tape’s fourth track, and then mastering the whole menagerie of sound to a cassette deck. Tracks 1-18 were recorded using this process and that for far-too-long sat around on cassette tapes, and thus the audio quality of these songs, while acceptable, is not high. Tracks 19-20 were digitally recorded straight to the computer using a Roland RS-9 keyboard for instrumentation. I am a self-taught musical tinkerer with minimal performance skill, and thus my music expresses more impressionism than conventional song writing. Herein you will find music with wild pastiches of improvisation, layers of minimalistic structure, and some conventional chord changes. Wishing you change and transformation, Chris.